Presenting history in a unique and engaging way is sometimes the most taxing of challenges an archivist can be faced with. In the course of such intricate decision-making about how to plan exhibits and sifting through millions of historical documents to discern what came to be relevant to the greater narrative and what can be relegated safely to obscurity, it often comes to pass that there is a period of silence on the part of the Museum which seems to drown out all else. Indeed all may seem quiet—but it is not exactly so. In tribute to the world of Wanisin and its rich history, we at the Museum have been working in the past months on a role-playing game inspired by the dark and mysterious jungles of Kwarkë. This game material will be based on the venerable d100 system introduced by Games Workshop in their Warhammer Fantasy Roleplay setting, and is set during the reign of Tamaksia I, which lasted through much of the Reed Era here in Thet. This is a time when general knowledge of Kwarkë's inhabitation had been successfully controlled by the Hatelese Mission to the Expanse and the Office of Sensitive Affairs, and (we believe) a point when classical Wanisinese civilization was at its cultural apex. 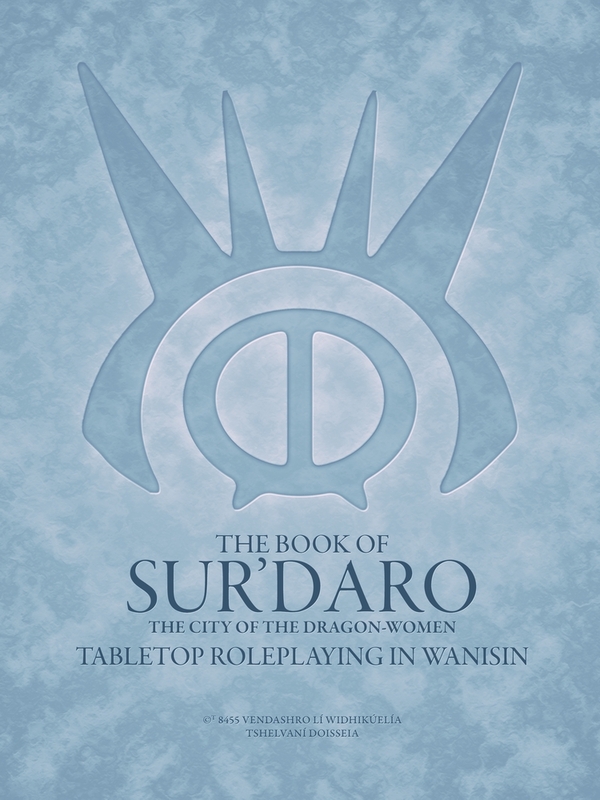 The title of the supplement is The Book of Sur'daro – The City of the Dragon-Women, and will be available in English at the time of release, with a modern Lilitic translation to follow. Although much of the focus will be on life and political intrigue within the capitol, we will aim to complete an accessible and cogent experience for historically-accurate campaigns set anywhere on Wanisin of the era, likely with additional supplements to follow.